Christmas is just around the corner. 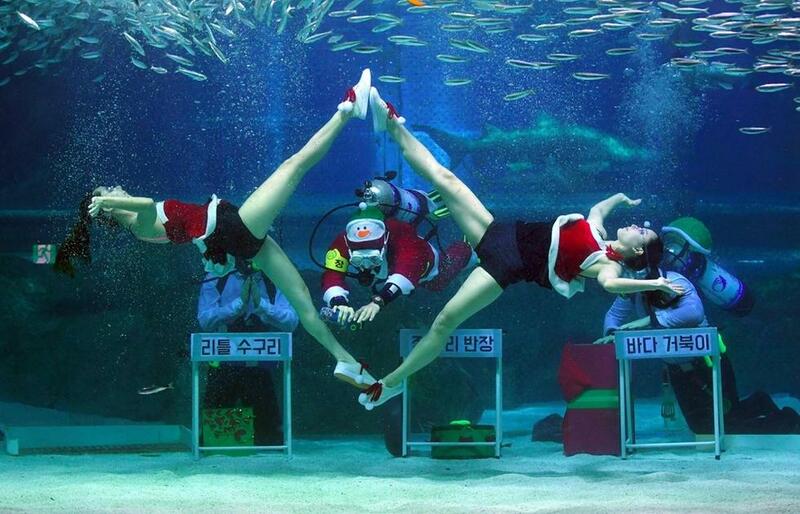 This year Santa Claus ditches his reindeer and big sleigh to entertain children in Seoul with a brand new look. 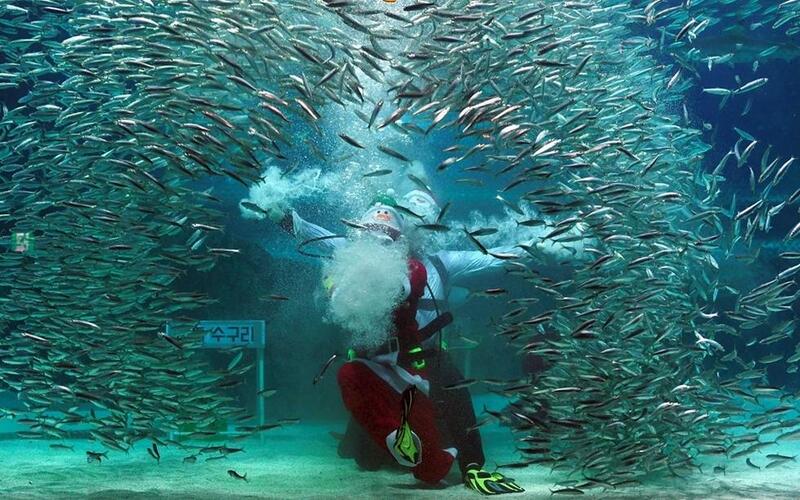 All dressed up, a diver in Santa costume performs in an aquarium with schools of fish. The fish, closely following the lure in the diver's hand, forms all kinds of incredible shapes.